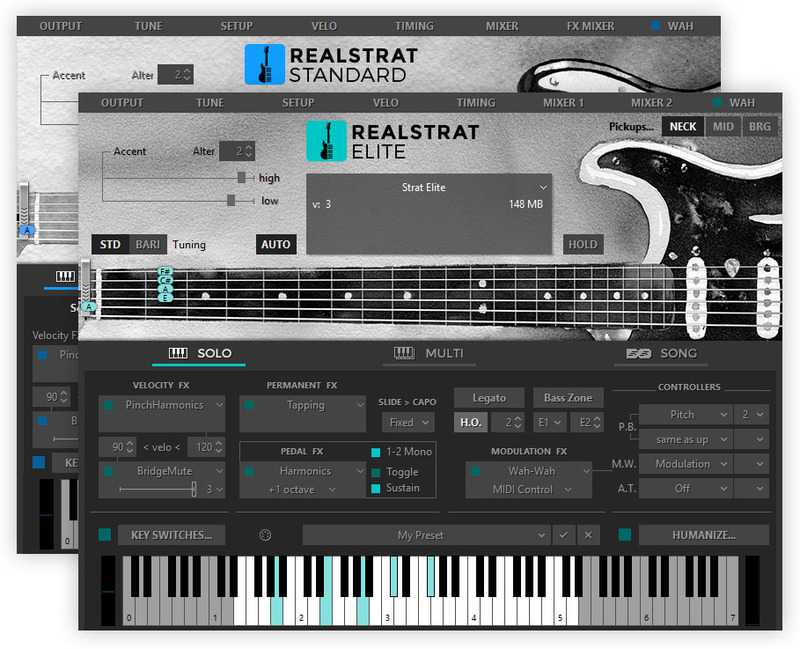 MusicLab has announced the release of RealStrat 5.0 for macOS and Windows. 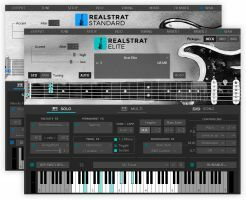 RealStrat Standard – original RealStrat model with loads of new playability features, fully backwards compatible to RealStrat previous version. RealStrat Elite - features the début of our new sample set recorded from each of 3 Stratocaster pickups, having four patches and two tuning selections for each. High quality 24-bit samples, recorded directly from Neck, Middle, and Bridge pickups individually. 7 realtime pickup selections giving you the exiting tonal options. Standard and Baritone tunings for all patches. Stop Slap sound effect added. Pinch Harmonics now produce 2-octave up initial pitches. 25 new Key Switch FX in chordal modes. Check the complete list of What's New in RealStrat 5. Price: $139.00 USD. Previous version owners can order version 5 upgrade in the MusicLab account. Download full-featured trial version for Mac and Windows.